Here we present for you a tour in photographs of Christmas celebrations from around the world. Enjoy a little armchair tour of the sights of Christmas. Maybe something here will spark your interest in taking a trip some day. We've provided links to some interesting articles for trip planning. Check out our Christmas Celebrations page to see some video footage from the United States and Worldwide. 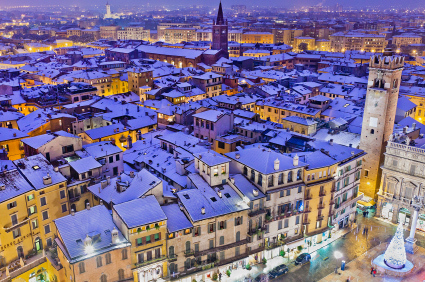 The Piazza delle Erbe at dusk, decorated for Christmas in the Italian city of Verona. Verona Christmas events. 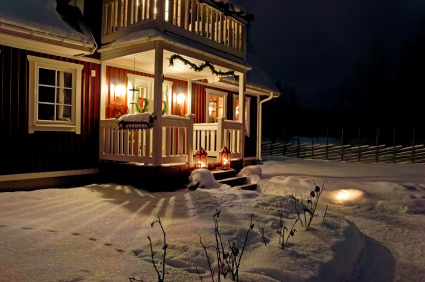 Above, the peaceful scene of a traditional Swedish home decorated for the holidays. 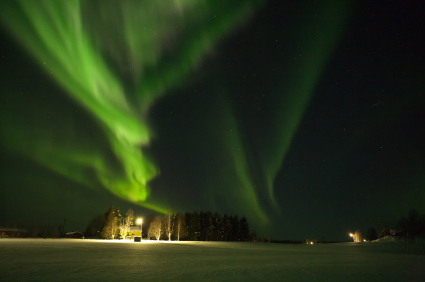 Below, the spectacular night sky show of the Aurora Borealis in Sweden. Christmas - Celebrating the Swedish way.